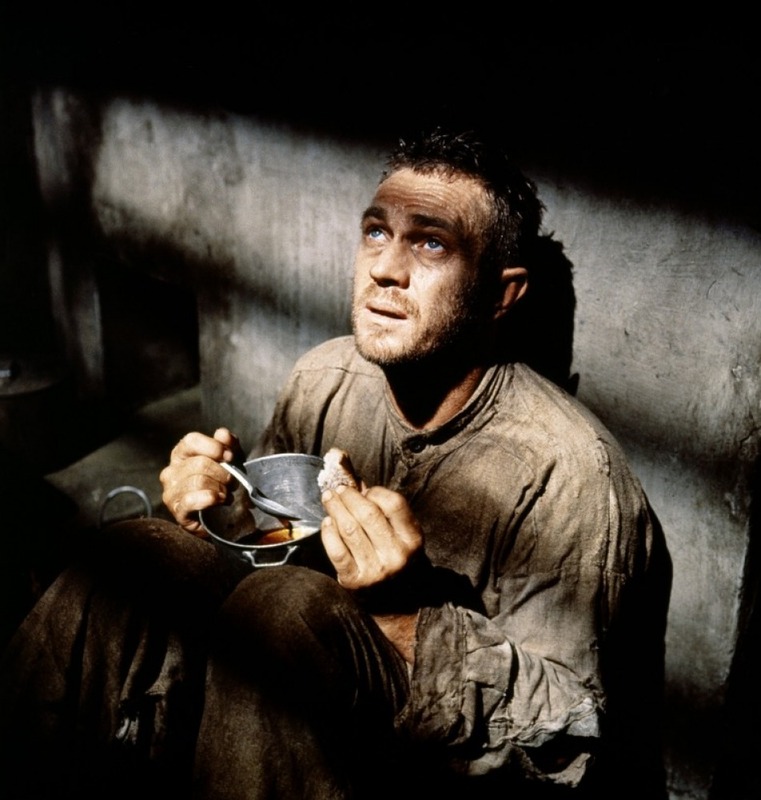 A true story of prison escape and the dogged pursuit of freedom, Papillon is both rousing and inspiring, enriched by an engaging Steve McQueen performance. The film recounts the true story of Henri Charrier, a Frenchman convicted in the 1930s of murdering a pimp and shipped to serve his time in the grim Devil's Island prison off the coast of French Guiana. Charrier, nicknamed Papillon because of the large butterfly tattoo on his chest, always claimed his innocence, and immediately starts to plan his escape. Recognizing that access to money is essential to bribe guards and buy influence, Papillon befriends fellow prisoner Louis Dega (Dustin Hoffman), a forgery expert with large reserves of cash. But an aggressive attitude and the hostile environment thwart his many escape attempts and land Papillon in deeper trouble, including a long stint in solitary confinement that almost kills him. Undeterred, he regains his health and again escapes, this time making it to a leper colony and onto a stretch of freedom with a native tribe, before being recaptured and confined to another long stint in solitary confinement. Despite his advancing years, Papillon is a man who never gives up on freedom and yet again starts to plan another daring escape. The lack of a back story is the one weakness in the film: Charrier is only introduced as a convict, a man thirsting for freedom to right an injustice. With a running time of 150 minutes, the character deserved a comprehensive background to deepen empathy and strengthen the bond of caring. Otherwise, Papillon gets everything else right. 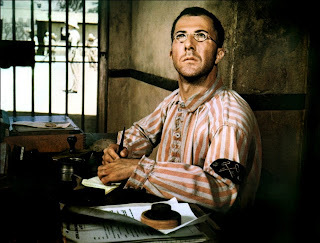 McQueen made his name as the most famous prisoner in The Great Escape, another fact-based prison drama. Here, he takes the prison life and the love of freedom to another level, the Papillon character challenging common sense to repeatedly defy the odds and seek all possible ways to break the shackles. McQueen combines his typical tough and cool persona with increased humanity, and his latter scenes as the aged Charrier, bowed but not beaten and still seeking a seemingly impossible escape, are particularly touching and memorable. Dustin Hoffman leaves less of an impression, the role of Louis Dega apparently bulked up for the sake of the movie, leaving Hoffman somewhat struggling for purpose and ultimately almost reduced to the role of tottering comic side-kick. Director Franklin J. Schaffner adapted Charrier's 1969 best-seller with respectful elegance, the movie taking the necessary time to reveal the intense emotional and physical suffering beneath the bedraggled prison garb, and brimming with impressive scenery at once beautiful and oppressive. The jungles of Devil's Island are a spectacular prison, and the confinement buildings are epic examples of monuments constructed to ensure the suffering of tough men. Schaffner finds the perfect setting of daunting rock bluffs and churning water for Papillon's final, death-defying escape attempt, and as an exclamation point allows McQueen to perform an eye-popping stunt. A defiant and invincible spirit refusing to settle for anything short of absolute freedom and willing to suffer through any pain to achieve it, Papillon is proof that although it may take years, when there is a strong-enough will, there is usually a way.